YOURLS is an open source URL shortener that works right out of the box, here are the instructions for installing YOURLS on Ubuntu 12.04. Update apt and install some packages, enter a MySQL root password when prompted. mysql -p -e "create database yourls; GRANT ALL ON yourls. * TO 'yourls'@localhost IDENTIFIED BY 'asdf1234';"
Upzip YOURLS into the newly created directory. Change into the directory and copy the config file over. Change ownership of the directory to Apache’s user. Go you http://<your URL or IP>/yourls/admin in a web browser and click install. 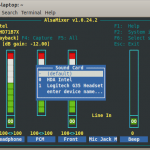 This problem had me scratching my head, I had a Logitech G35 headset plugged into my laptop running Ubuntu, and the volume was so low I could barely hear music..
After some searching online I stumbled across a way to use alsamixer from the command line and change the sound card, once I did that I was given some sliders to change and was able to finally get the volume upped to a decent level. 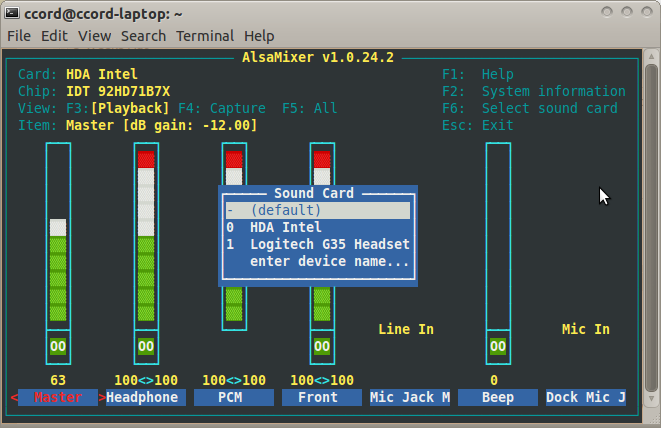 4) Change to desired sound card. 5) Adjust volume slider to the level that suits you.